The Hero Sun was finished in 1922 and dedicated to Samuel S. Seward, Jr., a professor of English at Stanford. A close friend of Cowell's, Seward helped Cowell compile his book, New Musical Resources. In Three Irish Legends, Cowell uses tone clusters to portray specific programmatic features. Cowell retells these stories at the beginning of the score, providing fantastic imagery for the performer. I have yet to find an audience that does not cite these pieces among their favorites, and special care must be taken to bring out all of the musical and programmatic elements in them. In Irish folklore, Manaunaun was one of the most powerful gods and a member of the group called the Tuatha DÃ© Danann, or the Irish divine race. 6 Lir is also a member of this group, and often cited as Manaunaunâ€™s father. The name Manaunaun is sometimes written as â€œManaunaun mac Lirâ€� which denotes this lineage. Looking to other folklore traditions such as those of Welsh or British mythology, one may find different spellings of Manaunaun including â€œManawyddan,â€� â€œManawydan mac Llyrâ€� and even â€œBran ab Llyr,â€� among others. Also interesting is the fact that Angus Og, the subject of Cowellâ€™s piece, The Trumpet of Angus Og, is a member of the Tuatha DÃ© Danann as well. The tempo reads, Largo, with rhythm. In my humble opinion, a story about â€œtremendous tidesâ€� meant â€œto create the suns and worldsâ€� justifies a particularly slow tempo. Aim for something almost painfully slow, such as one quarter of a quarter note triplet equal to 60. The triplet rhythm starting in m. 7 can be difficult. It is easiest to divide the opening half notes in sets of twos or fours, but because of the triplet figures entering in m. 7, try dividing the half notes into three: either quarter note triplets or groups of six. The opening clusters, marked pp, are best controlled with an open palm or by using both hands and switching to one hand when the upper voice enters. The top chord in m. 18 is difficult to reach with the LH cluster. Try leaving off the bottom F of the RH chord. The arpeggiated clusters starting in m. 24 should be rolled slowly as notated. However, there is little direction as to when the top of the chord should arrive. I like to roll the chord before the beat and arrive with the attack of the RH chords. (AUDIO) To hear the opposite (i.e., the LH chords arriving after the RH), listen to Sorrel Hays' 1977 recording of this piece. See arpeggiated chords for more suggestions. At such a slow tempo, it is not easy to maintain the gradual crescendo and diminuendo throughout the piece. Although you will want to start as softly as possible, risk starting just a little louder so you can have control over the opening clusters. The ffff in m. 24 is problematic. It is much easier to play mm. 22-23 ffff with the ascending forearm clusters in the LH. Remember that much of Cowell's cluster music is as much a visual experience as an audio experience. Do your best to make m. 24 the dynamic high point, but do not worry if it doesn't quite get there. Perhaps bring the dynamic down just a little in m. 23 before you start the cresc. e rit and really drop into that RH chord in m. 24. Although there is a dim. molto in m. 25, do not lose all of your volume. You have a long way to go! Also be sure to use the ritardandos to give the audience a sense of the tides descending back from where they came. Be patient and practice with subdivisions so that the end is almost too much for the audience to bear. For this piece, measure numbers always refer to the LH. The rhythm of the "sun" sections, first heard in m. 4, is odd, but Cowell notates phrases clearly. Anything you can do to give the audience something to grasp will help. Adhere to these phrases and arrive at downbeats. Also, take note of the differing dynamics for right and left hands in m. 10 and 18 (and also when they come back on the second page). Give the LH a little accent in addition to its ff so the chord carries through the next measure and disappearing chord. Cowell uses released clusters in mm. 21-2, 24-5, 39-40 and 42-44. Looking at m. 21, the performer plays every note between the octave D-sharp cluster (as notated on staves two and three) and then releases all but the octave notes; in a sense, clearing the darkness a little. The last "sun" section requires a bit of choreography. Allow yourself the liberty of Cowell's rit. e cresc in m. 51 (at the end of the penultimate line). If you practice hands separately, lean your body into the keyboard as if you were playing the forearm clusters as well. Playing octaves while half of your body is leaning to one side feels much different than sitting upright. Help your muscle memory by mimicking this in hands-separate practice. Many of the challenging features in Lir are also present in the previous two movements. For example, similar tempo considerations are needed to tell the story of Lir as in The Tides of Manaunaun. A performer should be patient with the Largo and subdivide as needed to keep the almost painfully slow tempo. Also consult the "Explanation of Symbols" for the notation of the clusters. Just as in The Hero Sun, The Voice of Lir includes released clusters, in mm. 15-20. (AUDIO) However, mm. 19-20 are more difficult as Cowell wants an octave cluster, plus a single note an octave above. Practice playing the top notes positioned over the cluster, but without depressing them (and vice versa). It is almost impossible to have 100% accuracy on the lower clusters, but you can get close. The most important thing is to bring out the top pitches. Give yourself the luxury of the ritardando and Meno mosso in mm. 20-1 so that you can execute the physical passage of alternating chords and full forearm clusters. Again, be patient with the end. Stay louder for longer so you have somewhere to go. Be absolutely consistent with the tempo and don't forget the ritardando in the last two measures! *There is some discrepancy as to when Cowell wrote these pieces (see chart below). *CD refers to Compository Dates that Cowell recorded in his notebook. "Licht" refers to the detailed catalog of Cowell's works, William Lichtenwanger, The Music of Henry Cowell: A Descriptive Catalog, (Brooklyn, NY: Institute of Studies in American Music Monographs: Number 23). Hicks a, b, and c, refers to the table listed in Michael Hicks, Henry Cowell, Bohemian (Urbana and Chicago: University of Illinois Press, 2002), 80. **This refers to Henry Cowell, Piano Music: Volume Two (New York: Associated Music Publishers, 1982), 59-65. Lichtenwanger suggests July 1917 as a composition date. 1. William Lichtenwanger, The Music of Henry Cowell: A Descriptive Catalog, (Brooklyn, NY: Institute of Studies in American Music Monographs: Number 23), 55. For more information on Cowell's involvement with theosophy see the Bio or Steven Johnson's article, "Henry Cowell, John Varian, and Halcyon, American Music, Vol. 11, No. 1 (Spring, 1993): 3. 4. Michael Hicks, Henry Cowell, Bohemian (Urbana and Chicago: University of Illinois Press, 2002), 109. 5. Henry Cowell, Piano Music: Volume Two (New York: Associated Music Publishers, 1982), 59. 6. Miranda Green, The Gods of the Celts (Gloucester, England: Alan Sutton Publishing Limited, 1986), 73. For other information on Manaunaun and the other legends I have relied heavily on Lady Gregoryâ€™s book, Irish Mythology, with a preface by W. B. Yeats, (New York: Smithmark Publishers, 1996) and Charles Squireâ€™s book, The Mythology of Ancient Britain and Ireland (Whitefish, MT: Kessinger Publishing, 2003), available for download at http://books.google.com/books. The following website also discusses Manaunaun in detail: http://www.manannan.net/. Also, an entertaining, but succinct website, http://www.godchecker.com/, gives brief glimpses of many of the characters associated with these legends. 8. For more information, see the following website: â€œLugh,â€� A Small Dictionary of Pagan Gods & Goddesses by DW Owens, http://www.waningmoon.com/guide/library/lib0019d.shtml. 9. Lady Gregory, 29. Many other sources reference Lug and extend his influence to Roman and Christian mythology, Arthurian legends and even to the naming of towns throughout Europe. For more information, Robin Heath, â€œAppendix: The Myth of the Solar Heroâ€�, STONEHENGE - The Marriage of the Sun and Moon, http://cura.free.fr/decem/06heath.html (accessed October 8, 2008), and http://www.answers.com/topic/lug-l-mfhota (accessed October 8, 2008). 10. 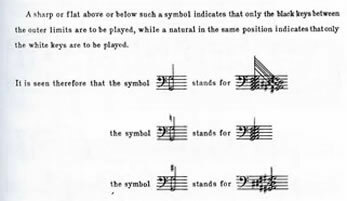 Cowell, "Explanation of Symbols" following the title page.